Honda Livo 2018 has arrived with a much aggressive and sporty look that will certainly catch the eyes of the young generation. The bike has got some major changes in the looks department and a few new features here and there. Honda Livo has got Automatic Headlamp On (AHO), Alloy wheels with disc brakes, electric start, clear lens indicators. These features were already available in the 2017 version. Let’s take a quick look at what’s changed in the 2018 model. Honda Livo has got a sharper front look, a 3D emblem of Honda perfectly placed on that aggressive looking new shroud. HET tires have also been incorporated. HET tires will make sure there is less rolling resistance, a technology that is patented by Honda and comes as a standard on all new Honda bikes. A cool new instrument cluster with service due indicator and a clock will certainly excite you. Low maintenance seal chain as the phrase suggests makes sure there will be comparatively lesser number of chain replacements required. The new HET engine that is BS4 compliant will certainly control your bike’s emissions but also guarantee you a good fuel economy. The city mileage of the Honda Livo is 55 kmpl and highway mileage is 62 kmpl. Of course, the only missing feature is a Combined Braking system with Equalizer. 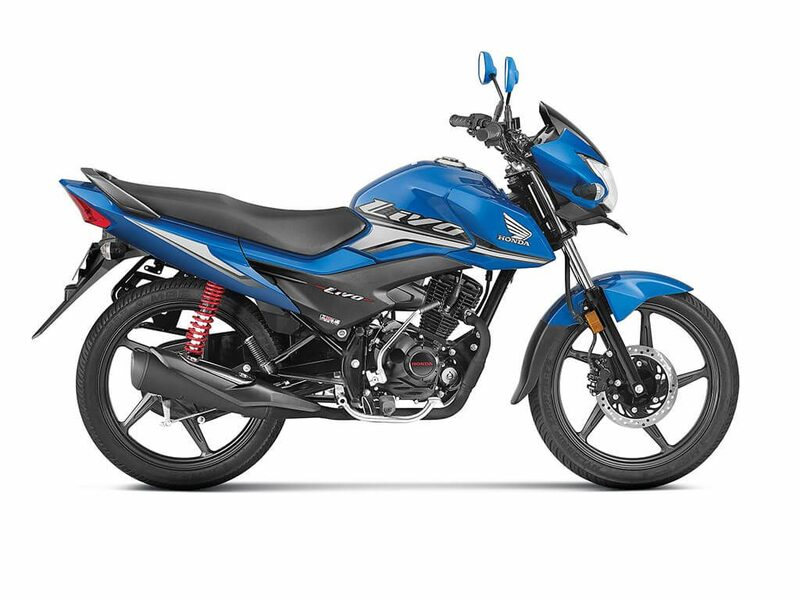 Currently, that is available on the Honda Shine 2018 model. The Honda Livo 2018, for now, comes with only a Drum and Disc braking options. Choose your pick. I would go for the Athletic Blue Metallic. Which one would you opt for? Let us know in the comments. The new Honda Livo 2018 is priced at Rs. 56, 230 (ex-showroom Delhi).